PowerLogistics Asia 2013 comprises an exhibition with accompanied conference for the heavy transport and lifting industry. The event will take place at Marina Bay Sands in Singapore on the 30th and 31st of October 2013. The focus is especially on logistics for the sectors oil and gas, heavy engineering, wind power and mining. 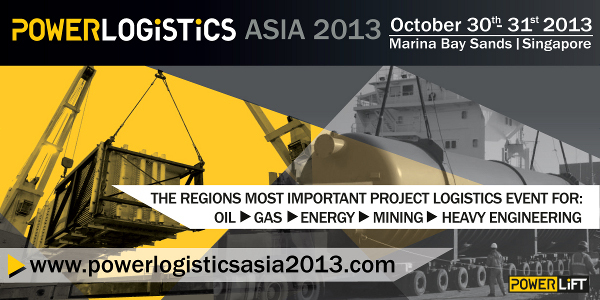 Visit: www.powerlogisticsasia2013.com for more information on the event.